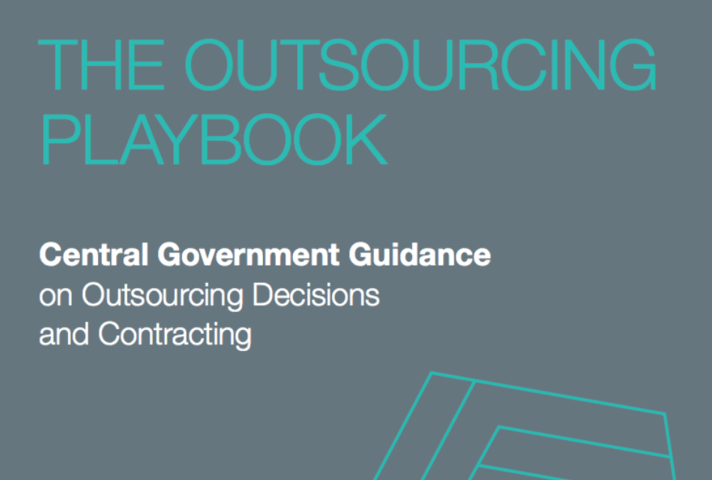 'Outsourcing Playbook' published to improve government procurement and deliver better public services. The government’s Outsourcing Playbook, which has been designed to improve how government works with industry and deliver better public services, has today been launched by Cabinet Office Minister, Oliver Dowden. The Outsourcing Playbook guidance will ensure that the government gets right more projects from the start, engages with a diverse and healthy marketplace of companies, including small businesses and charities, and is ready for the rare occasions when things go wrong. This follows reforms announced in recent months by the Chancellor of the Duchy of Lancaster and Minister for the Cabinet Office, David Lidington, to ensure that government procurement is fit for the future, including putting social values at the heart of public service delivery. New measures announced today include changes to how government allocates risk between itself and its suppliers, to ensure contracts are set-up for success and the public are provided with the best possible service. The government is also taking steps to improve the design of outsourcing projects from their inception. New complex contracts will be piloted with the private sector before rolling out fully, enabling the government to learn from experience and deliver better public services. Outsourcing can deliver significant benefits, including value for money and more innovative public services. Our new measures will improve how the government works with industry and provide better public services for people across the country. I can today provide reassurance that the Playbook makes explicit that, when designing contracts, departments must seek to mitigate, reduce and then allocate risks to the party best able to manage it. A more considered approach to risk allocation will make us a smarter, more attractive client to do business with. Capita is working closely with government to develop these reforms. This is a sea-change, both recognising the vital contribution the private sector makes in delivering first-rate public services, and then finding ways to do this even better. These new ways of working will place a stronger focus on establishing partnerships based on mutual trust and a joint focus on positive outcomes. This is fundamental to the successful procurement and delivery of public-sector contracts. Further measures in the Playbook include suppliers drawing up plans in the unlikely event of business failure, and requiring them to publish key performance data - all announced by Minister David Lidington in recent months.